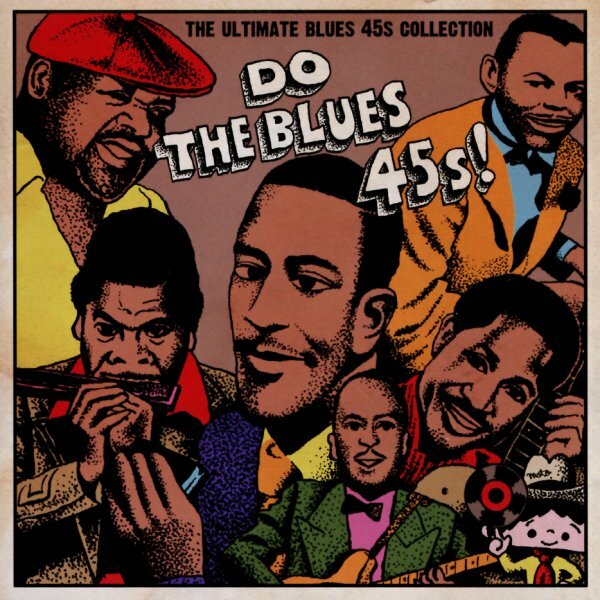 A killer collection of rare blues material – and one that's pretty darn funky at times too! The set dives deep into the very underground world of the blues 45 – not the previous scene of rare 78rpm recordings that have been documented heavily for decades – but the later generation, in which more obscure artists recorded jukebox 45s for a variety of different small labels – music that often got far less circulation than the LPs at the time! These cuts were all hand-picked by a Japanese blues collector who really knows his stuff – and a good deal of this material also shows a crossover to the funky 45 scene too – no surprise, since some of these labels also issued work in that mode. We'd heard almost none of these tracks before the compilation – and together, the 20 cuts will really open your mind – and your ears – to the deeper underground of post-50s blues. Titles include "Someday Baby" by Freddy Young, "A Fool No More" by Eddie Hope & The Manish Boys, "Trap Meat" by George Smith, "It Ain't My Fault (part 1)" by Smokey Johnson, "Follow The Leader (part 1)" by Wiley Terry, "I'm Checkin Up" by Tender Slim, "Chicago Jump" by Jimmy Lee, "Shake Your Boogie" by Model T Slim, "Encourage Me Baby" by Ace Holder, and "Weekend Blues" by Monte Easter & His Band. © 1996-2019, Dusty Groove, Inc.